Ask any traveler who has been to India, and they’ll tell you—it is like no other place in the world. The land and its people jolt every one of your five senses and stay in your heart forever. On November 26, 2008, India felt a very different kind of jolt. Residents and visitors, leaders and institutions were shocked to the core as they witnessed death and destruction aimed at their home, the heart of India –Mumbai. 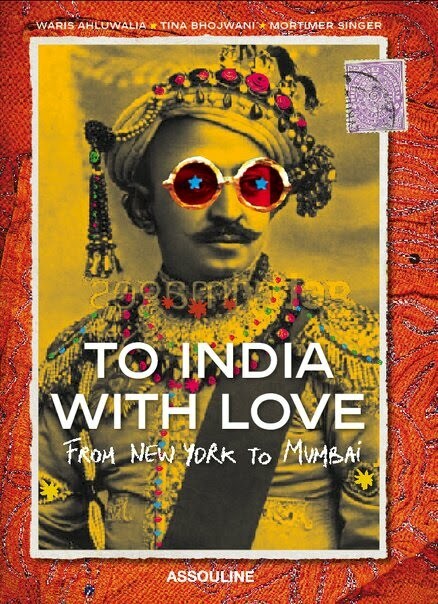 In recognition and support for the families, businesses and livelihoods touched by November 2008’s tragedy, Waris Ahluwalia, Tina Bhojwani, and Mortimer Singer, three friends brought together by their love of India have created a veritable scrapbook of love letters to India perfectly published by ASSOULINE: To India With Love, From New York to Mumbai. Profits from the book and monies raised from the launch events and affiliated photography exhibits go directly to Taj Public Service Welfare Trust in conjunction with Mumbai: We Got Your Back, an organization founded by the three editors: Waris Ahluwalia, Tina Bhojwani and Mortimer Singer to raise spirits, awareness and funds by leveraging the creative arts to draw attention to the beautiful places, cultures and people of traumatized regions. We talked to Tina Bhojwani, a New York–based fashion executive specializing in international business development. She is currently the senior vice president for Theory LLC. With deep family roots in Mumbai, Tina has a profound and passionate connection with this vibrant city. I love les ombres in Paris at the musee de quai Branly which is the museum of anthropology and culture designed by Jean Nouvel. Also, Marino alla Scala and Treinnale design museum in Milano. Obviously as a city I’d say Mumbai is brimming with creativity, vibrantly expressed in mediums such as contemporary art, film, fashion and food. What are your greatest inspirations or influences? My mother. She has taught me about faith, acceptance, optimism and of course inspired my interest in art and fashion. Favorite photographers and fashion icons? I am a fan of Peter Beard’s photography; in fashion and film I am inspired by the iconic women such as Diana Vreeland and Katherine Hepburn, and for Bono is one of my favorite musicians.